NBA Commissioner Adam Silver speaks at a news conference during the NBA Board of Governors meeting in July. Outside of the state of Nevada, betting on professional sports is illegal. Yet outside of the United States, betting on professional sports is as much a part of their culture as tailgating is in ours. Those in the U.S. who do want to bet on professional sports have to resort to questionably-legitimate bookmaking operations and offshore gambling websites. 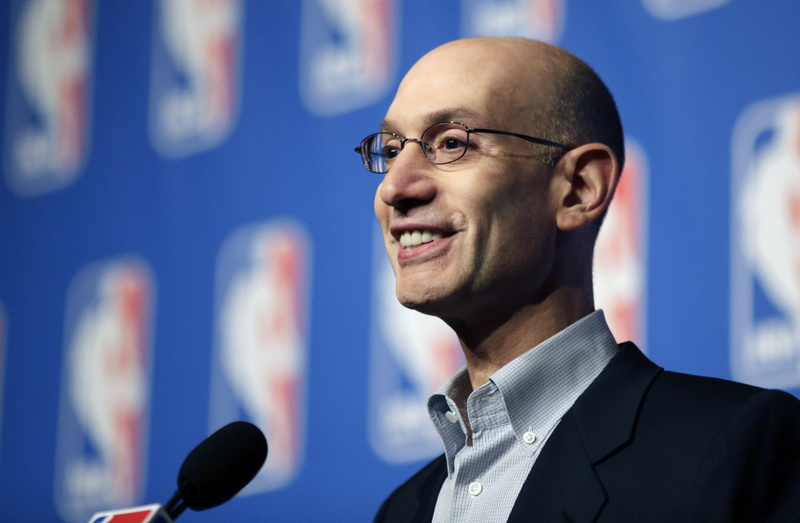 In an op-ed penned in the New York Times, National Basketball Association Commissioner Adam Silver argues that betting on professional sports is already happening underground and online, despite laws prohibiting it. In 1992, Congress passed the Professional and Amateur Sports Protection Act, which basically prohibits states from allowing betting on professional sports. Commissioner Silver says there is a clear desire among sports fans to be able to bet on professional sports, and that Congress should begin laying the framework to legalize betting on professional sports but also have strict regulations and technological safeguards. So far there has been a small amount of support from the sports world. The outspoken owner of the NBA's Dallas Mavericks, Mark Cuban, said this weekend that he agreed with Commissioner Silver on the issue. The commissioners of the other three major professional sports in the U.S. have remained silent on the situation, for the most part. National Hockey League Commissioner Gary Bettman suggested during an interview with CNN’s Unguarded on Saturday that legalizing betting on pro sports could drastically change the nature of sport. Do you think betting on professional sports should be allowed in all U.S. states? What are the potential pros and cons of betting on pro sports being legalized? If it were to be legalized, how would it be regulated?